Wow I didn’t know Thought it was aliens, not us there! Is movie available? So true. One of the teen team with Andrew Basiago in the Pegasus teleportion program was Brent Stillings who I interviewed for my radio talk show years ago. They sent young kids through this early stargate tech because adults didn’t fare so well. 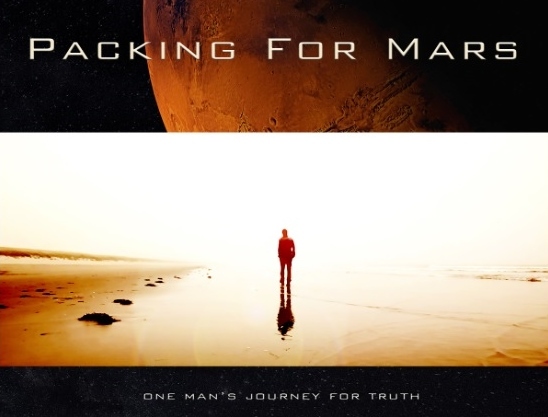 I had Laura Eisenhower on my show also, and she talked about why she decided not to go with the secret Mars program. I read the book on Alternative 3 before it went out of print. The scientist father of a friend was ‘disappeared’ into that Mars colony with a fake funeral for family. Kathy, when I read this terrific blog, my mind immediately went to the various postings of Corey Goode who has been doing videos with David Wilcock on the Secret Space Program now on GIAM TV. In these videos (and in his blog on the Spherebeingalliance.com, in case you prefer to “read), there is extensive information on Corey’s reporting of “what’s really going on out there”! Personally I have found Corey’s accounts highly credible. I ask that you too direct your terrific analytical skills and magnificent journalistic abilities to weigh in on this topic. I am really looking for further confirmation (from respected source such as you) that his accounts are indeed true. Great article. My Father, Leslie Watkins, was the author of Alternative 3. Now in his 80’s, he recently asked me to republish his book Alternative 3 as an eBook and paperback. It’s due out on the 15th December and will be available from http://goo.gl/BBl6kc or from amazon. You say that the original documentary was broadcast on April Fool’s Day in 1977 by the BBC. In fact, it wasn’t broadcast by the BBC. The programme was produced by Anglia Television and broadcast on the British Independent Television Network on the 20th June 1977. The spin doctors later declared, ‘It was intended for April Fool’s Day but missed the slot.’ Interestingly, it was never shown in the USA or Russia. Dad has always maintained that while researching the book he came uncomfortably close to the truth. He wrote in one letter to a publisher, ‘I have reason to suppose that my home telephone was being tapped and my contacts who were experienced in such matters were convinced that certain intelligence agencies considered that I probably knew too much.’ My father now lives in a remote part of New Zealand and keeps a low profile. Thanks, Graham for the update and correction. Kudos to your Dad!